South Denver’s newest, beautiful and spacious destination for skilled rehabilitation - also known as our Transitional Care Neighborhood. 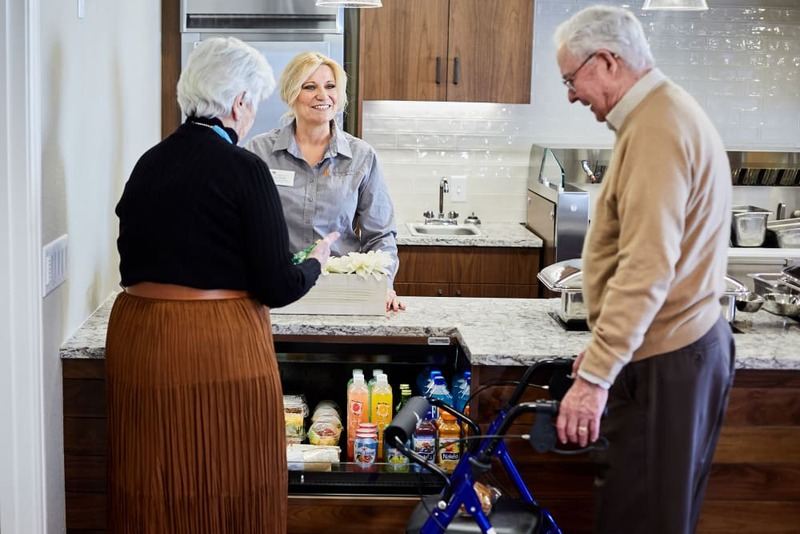 Our goal is to help each guest transition successfully back to the life they love as quickly and safely as possible. 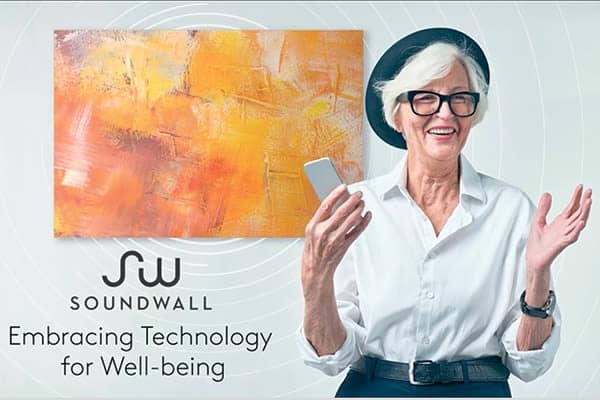 Schedule a visit to explore this light-infused, private neighborhood that provides maximum healing and comfort. 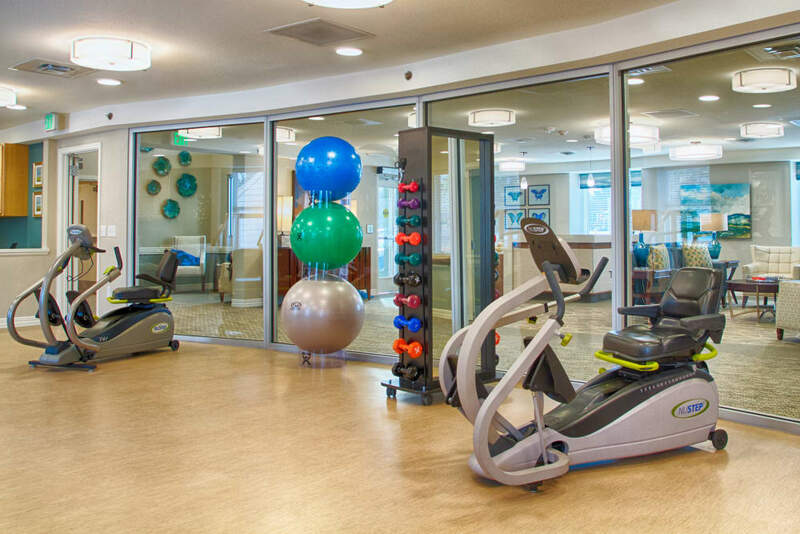 Our therapy gym has a wide range of equipment to allow therapists to provide comprehensive care. Delicious and nutritionally-balanced meals, prepared by our team of chefs, are always on the menu. 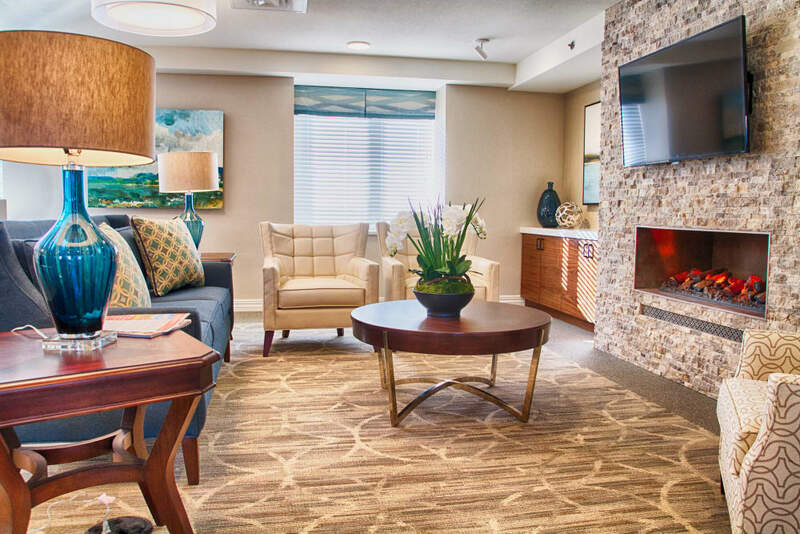 Our living room area is a warm and inviting space for relaxing or sharing time with friends and family. 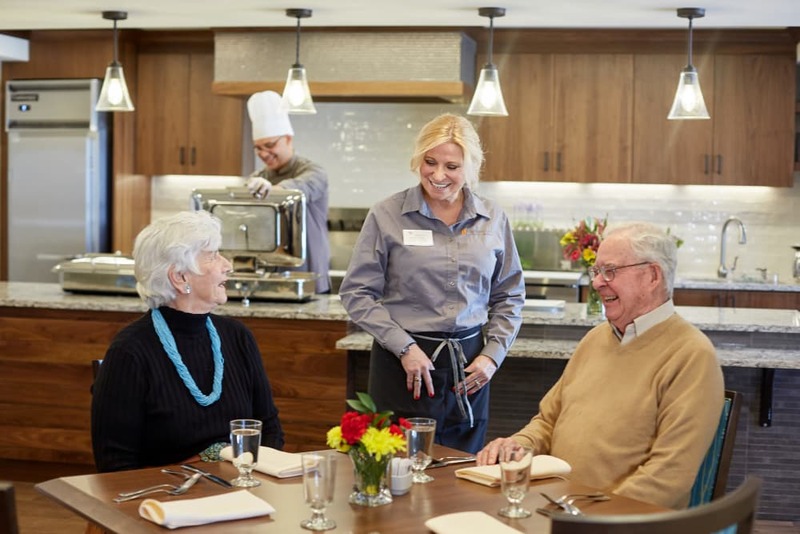 Our private dining bistro has 24/7 snacks and grab-and-go items for guests and families. 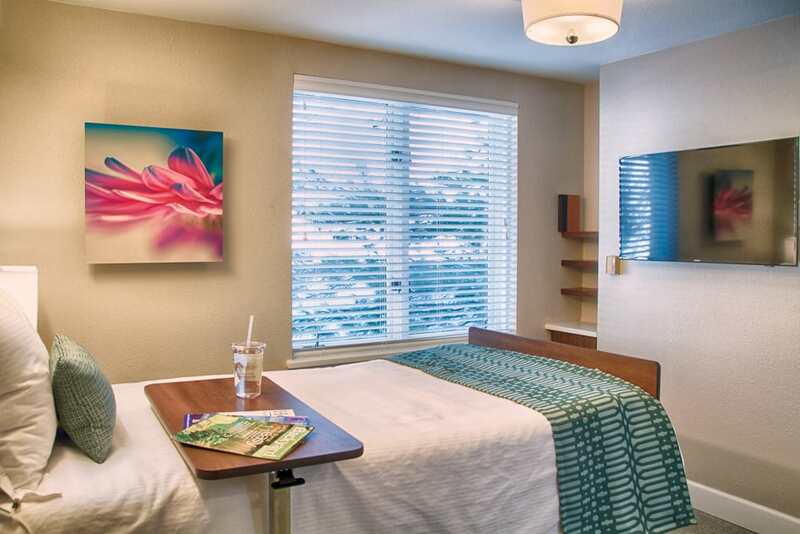 Every suite provides a relaxed and comfortable home environment. Our highly-qualified medical professionals support your speedy recovery. Our team of therapists has more than 50 years of combined experience. 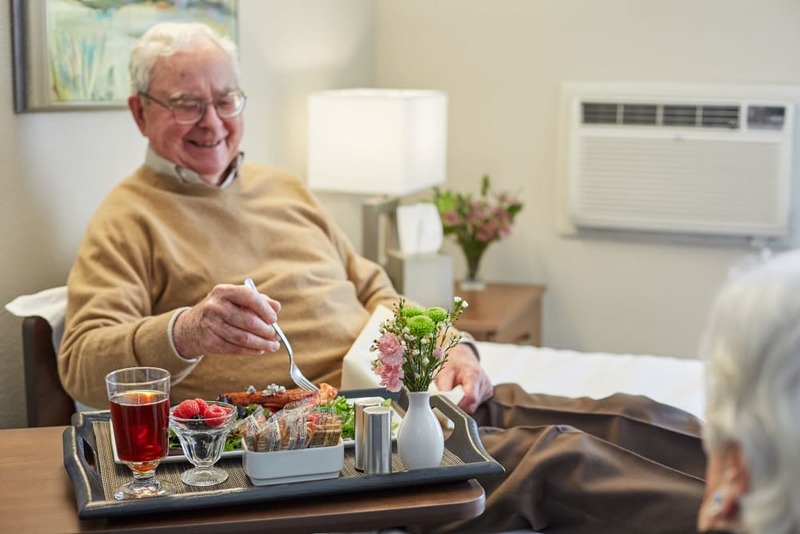 You can always enjoy your meals in your suite, via on-demand room service. 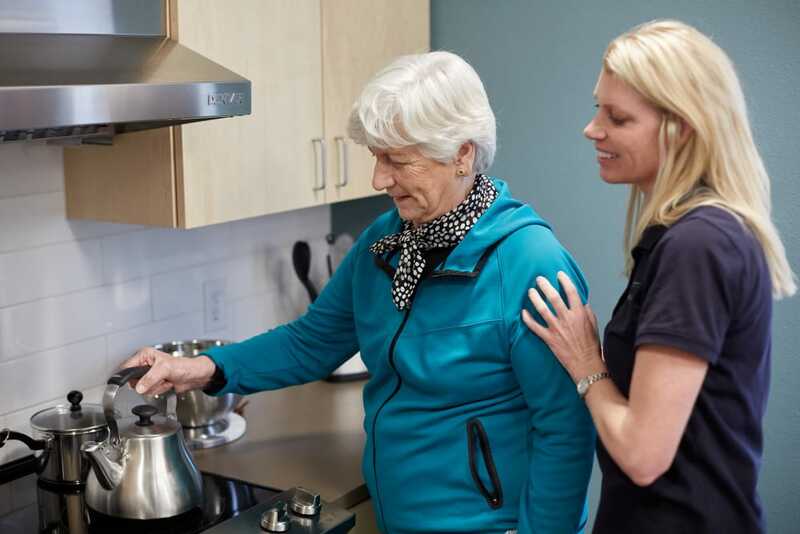 Therapists provide support for re-entry to real life situations using a dedicated therapy kitchen. 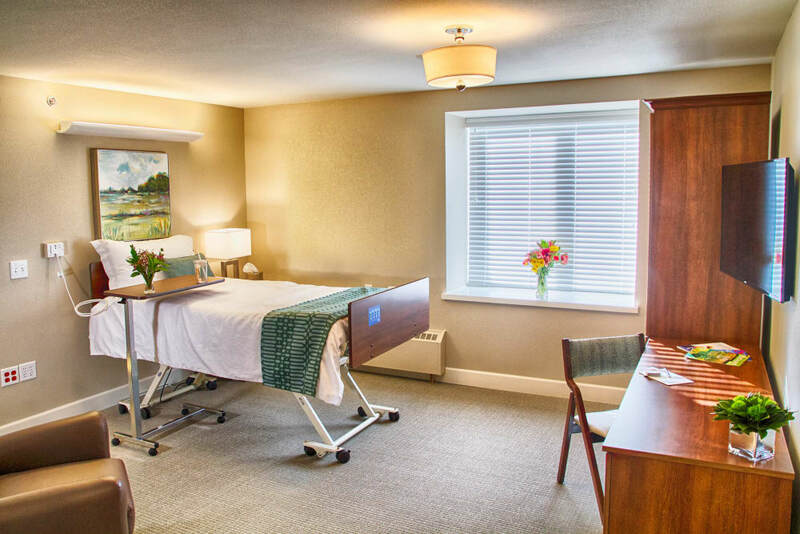 Large suites have plenty of room for visiting friends and family. 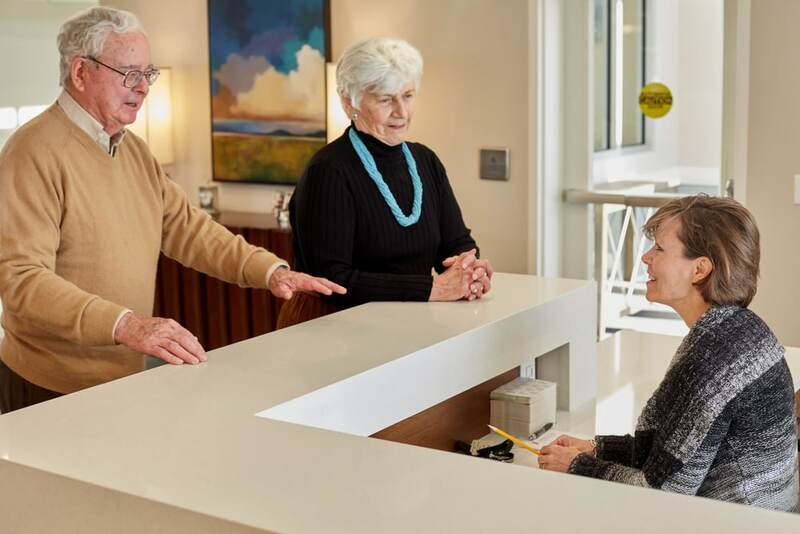 A full-time concierge is available to provide comforting services. 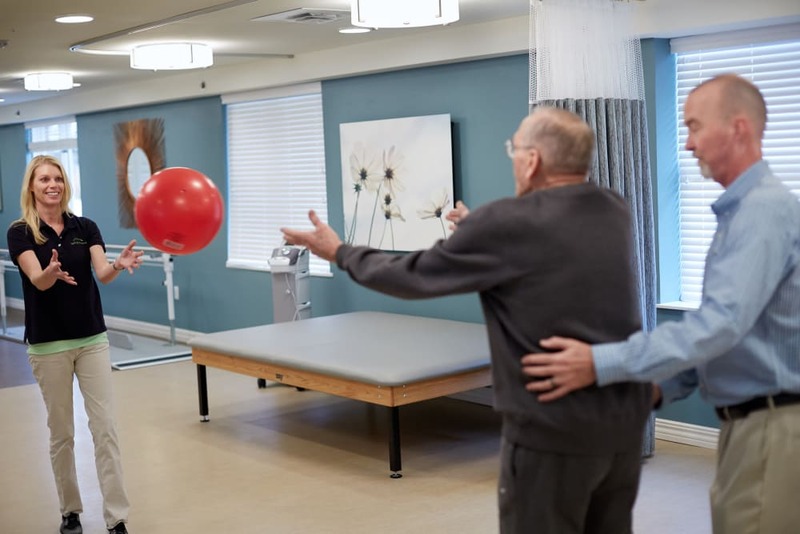 Our Short-term Rehabilitation neighborhood is fully equipped for out-patient therapy services to support your continued success at home. 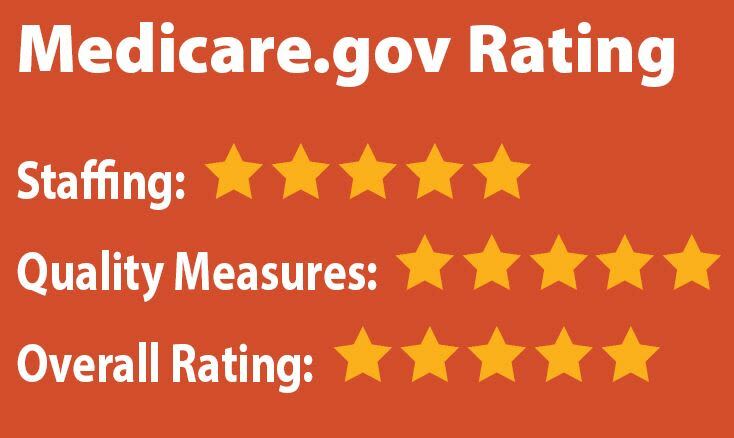 Our guests rate us 5 out of 5 on “likely to recommend” through Pinnacle Quality Insight. 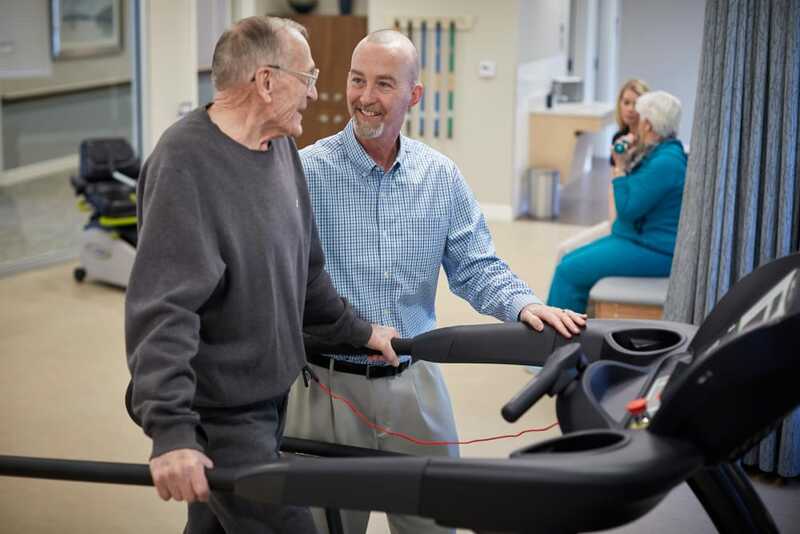 Our healthcare and therapy professionals partner to care for a wide range of injuries and illnesses, including cardiac care and post-surgical recovery, strokes and neurological injuries and accidents and illnesses. Check out our monthly community life calendars. Find out more about this beautiful new location for rehabilitation.